How Far is Tranquil Meadows? 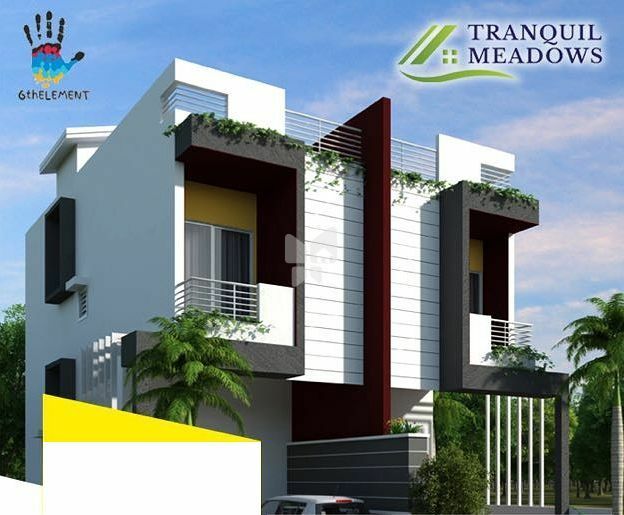 Tranquil Meadows is a Luxury Residential Township spread across 9.5 acres, It comprises of 300 villas, a clubhouse, swimming pool, basketball court,jogger’s park and tennis court. Located Near Jigani, Bangalore district. The force behind this project is a team of professionals who have been in the field of real estate construction for years and have the necessary experience, commitment and vision to conceptualize and bring to fruition a project of international standards like Tranquil Meadows, therefore making it an elite residential township. Clear titles and Immediate registration Compound walls and round-the-clock security State-of-the-art power, water and sewerage systems Communication facilities Telephone sources and Internet Club house Amphitheater Joggers park, Tennis court, Basketball court Children‘s play area. 6th Element is established as a Real Estate e-commerce marketing start up, operating at Bangalore & Chennai, and will be soon spreading its wings in the international market. The company’s visionaries, having experience of over 15 years in Banking and Real Estate sector started this venture with a vision to make buying and selling of real estate simple and cost effective while maintaining transparency, trust and highest quality of service. We customize our product to best cater the needs of our clients, utilizing the various reaches of technology for a faster and an efficient means of service.